With Highmark products you can follow the tasty traditions of good home cooking with complete simplicity and convenience. Fast, easy cooking does not have to be boring or unhealthy. Simply flavour your meats and vegetables with our sauces or marinades. Use crispy noodles as a snack or to add substance to a salad. 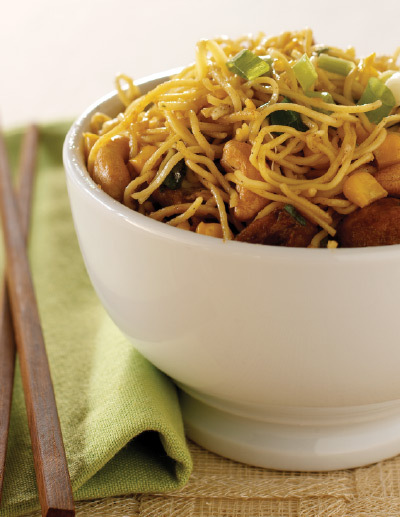 Introduce budding young chefs at home to Asian style cooking with our range of easy to prepare noodles. Or entertain dinner or party guests with a variety of frozen foods that you simply pop in the oven. The possibilities are endless when you are looking for simple, affordable, quality meal ideas. Highmark Foods is one of just a few asian food product companies still manufacturing in NZ. We believe simple and affordable foods can still be authentic and of high quality, so we prefer to keep an eye on our manufacturing here in Auckland, New Zealand. We use locally produced ingredients wherever possible, and when we need to import, we select only the finest and freshest ingredients.